Are you suffering from dysentery? Dysentery is not a pleasant ailment. However it is a common disease and so, you do not have to worry much. Having dysentery can be painful as well as messy. When a person is suffering from dysentery, he/she has to rush to the bathroom too many times. The person also faces excruciating pain in the abdomen.They may also feel nausea which becomes irritating. The stools that they pass are loose and have mucus and blood in them. Anybody can get this disease. You can be a man or a woman, it does not really matter as dysentery happens to one and all. There are two types of dysentery – chronic and acute. If you do not treat acute dysentery then it will be followed by chronic dysentery. How to treat acute dysentery? It is best to find a cure when you feel the initial symptoms. You do not have to go to a doctor for everything in this world. Gone are those days when there were no doctors but somehow the remedies people used in the past worked wonders. 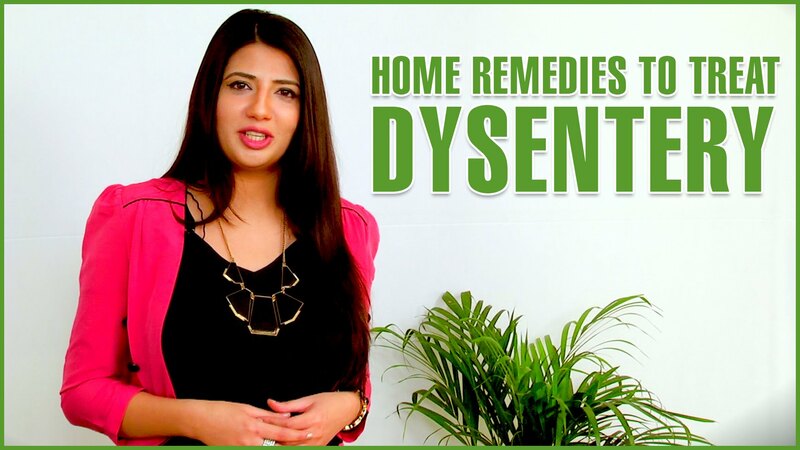 You can try some home remedies for dysentery as it will not hurt you in any way. Home remedies are natural and they do not have any side effects too. We have jotted down some of the top home remedies for dysentery that are available in your kitchen. Try them as it might help you get rid of dysentery. This is the first home remedy in our list because it is the best remedy for dysentery. When you are having dysentery, you pass watery stools which means that you are losing all the water from your body. You need to stay hydrated in order to treat this problem. Water will replace the water which is lost from your body due to dysentery. You also lose a lot of electrolytes from your body which means that you should have Pedialyte or Rehydralyte which is easily available in stores. However water is the best and easiest home remedy. Drink lots of water and you will be fine soon. Yogurt is good for health and it treats dysentery in no time. Yogurt has good bacteria in it which fights the bad bacteria present in your intestine. Yogurt helps in producing lactic acid in the intestines which kills the bad bacteria. When the bad bacteria gets killed, you start recovering faster. You will start feeling better if you eat lots of yogurt. You can also mix yogurt with rice and a little salt for a yummy meal. Coriander is not just an add-on to a yummy dish but it also helps in treating dysentery effectively. You would need to boil coriander and have the water. The coriander juice gets extracted when you boil it. Have the coriander water twice in a day and you will see the difference yourself. This home remedy works really fast and your tummy will start feeling better too. Ginger juice helps in curing dysentery. If you want to cure dysentery completely then try having ginger juice mixed with water and castor oil. This home remedy has worked for many people and will surely work for you too. Make sure the water is warm and have two glasses of this solution in a day. There will be no sign of dysentery the very next day. If you want to completely stop dysentery or loose motions then you can have lots of pomegranate. Pomegranate is also called anar in India and it is beneficial for health. You can boil the pomegranate fruit in water and then drink the solution. Problems such as dysentery or loose motions will vanish the same day itself. Make sure you filter the water and have it thrice in a day. This does not have any side effects and will cure dysentery easily. When you are suffering from dysentery, you will notice that you start feeling weak. In order to get some energy, you should mix lemon juice in lukewarm water and have it as many times in a day. This will also cure dysentery and will give you lots of energy. Lemon juice is known for providing energy to dysentery patients. You can add a little salt to it as well for that extra taste. There are other home remedies you can try such as having guava. Guava will help you to get rid of frequent visits to the bathroom. If you try the above mentioned home remedies, you will be better in no time. These home remedies will work for sure! So, try them and get rid of the annoying disease called dysentery. Take care!